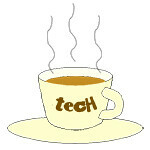 Canon Singapore « Tech bytes for tea? Amidst the searing heat of the afternoon sun, the mosque offers a cool refuge and respite for worshippers and visitors. The corridor is still empty, although in an hours’ time, worshippers will arrive for the Friday prayers. Photo taken using a Canon EOS 5Ds and EF 50mm F1.4 USM prime lens. Photo credit: John Tan. Masjid Abdul Gafoor was gazetted as a national monument of Singapore on 13 July 1979. Gowns for worshippers’ perusal in the Abdul Gaffoor Mosque. Photo taken using a Canon EOS 5Ds and EF 50mm F1.4 USM prime lens. Photo credit: John Tan. The prayer hall is the most sacred part of the mosque and is at the core of the building, directly below the cupola and tower on the roof of the mosque. Beautiful calligraphic inscriptions decorate the prayer hall. Photo taken using a Canon EOS 5Ds and EF 50mm F1.4 USM prime lens. Photo credit: John Tan. Only worshippers are allowed into the prayer hall. Visitors/tourists and women are not allowed inside. Caps/songkoks for use for worshippers. Photo taken using a Canon EOS 5Ds and EF 50mm F1.4 USM prime lens. Photo credit: John Tan. The following descriptions are from the Wikipedia article on Masjid Abdul Gaffoor.